Below is a sample of some our work showcasing our PVC composite exterior shutters on customer homes. 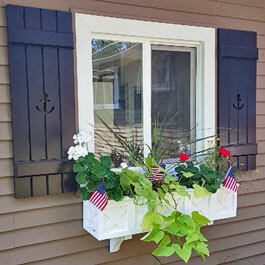 All of our FOREVER SHUTTERS (TM) exterior shutters are made from a solid no rot pvc composite reinforced with stainless steel and lifetime guaranteed. If you have purchased exterior shutters from us before we would love to showcase your project on our website so please feel free to email us pictures of your finished work. 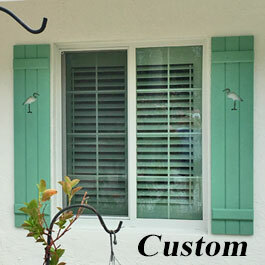 If you need custom sizing for your shutters, no problem, our experts will help you get measurements and will even email you a scaled drawing of the shutters for your approval before you even order.